Want to know what the biggest trend in top superyacht toys is going to be in 2016? 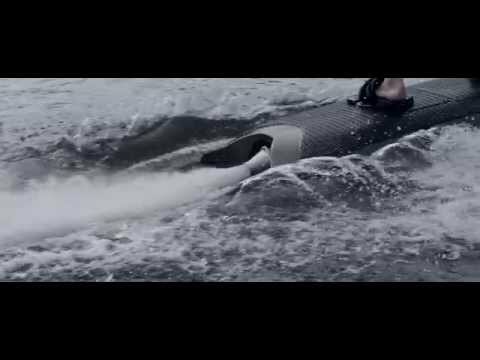 The ability to surf and wakeboard with no waves at all. Last summer Spanish brand Onean unveiled its electric surfboard that makes waves redundant and for 2016 Radinn has launched what it claims to be the world’s first electric-powered wakeboard. Radinn’s Wakejet Cruise is the brainchild of Swedish entrepreuner Philip Werner and, like the Onean surfboard, aims to make wakeboarding easier and more accessible by doing away with the need for a sportsboat and tow rope. The wakeboard is powered by a combination of electric motor and jet thrusters and can carry passengers of up to 130kgs at a top speed of 25 knots. The board itself weighs just 29kgs thanks to a construction composite of aluminium, carbon fibre and Kevlar and can run for up to 45 minutes before being recharged. The board, which is available in green, blue and white colourways, also boasts its own custom smartphone app which allows users to restrict the top speed and acceleration to ensure safe use by beginners and children. It is available to buy now with prices starting at €15,000. The Wakejet Cruise received its UK debut at the London Boat Show 2016 with visitors being treated to a live demonstration on the Thames. See it in full – along with shots from a few more exotic locations - in the video above.